Fridah is a girl that lives with a single parent (her mother) together with her older brother who just finished high school. Inspiration Centre started being actively involved in Fridah’s life five years ago. We discovered how talented she was especially in poetry, singing and public speaking. She is a girl who has not been distracted with various challenges in her life like the passing away of her dad. Despite going to school with tattered school uniform, Fridah had her eyes fixed on the end result, which according to her was to finish school. It is almost impossible to think of Fridah as a little girl because she is so mature in how she perceives life. Fridah’s mom is a hawker and has no education to secure any meaningful employment. The darkest moment for Fridah was in 2007/8 during the elections in Kenya. She is from a tribe that wasn’t allowed to be in some parts of Mathare after the elections dispute. As a result of this, her family was forced to escape for their lives. 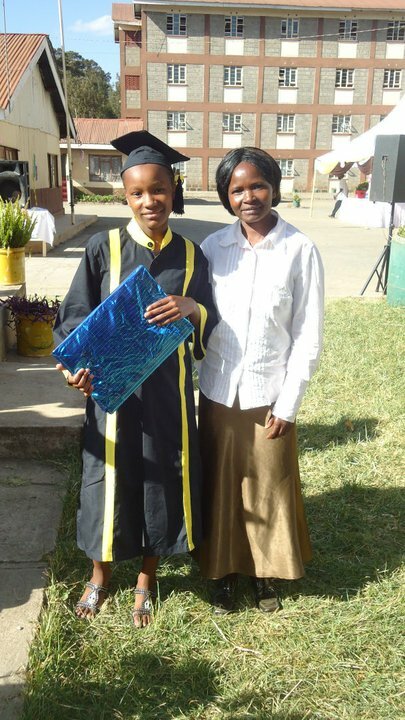 When all things had settled and the peace treaty was signed, Inspiration Centre’s school sponsorship program allowed her to enroll in a boarding school. 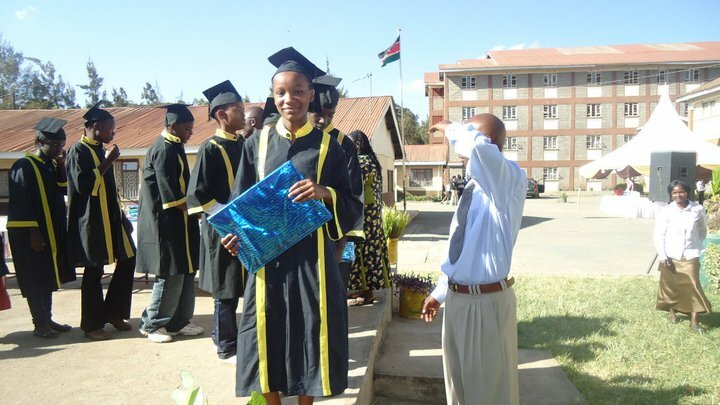 Fridah graduated from 8th grade on January 21, 2011. She was one of the best students in her school and she will be joining high school in three week’s time. Fridah’s story is an inspiration to us all. We wish her the best of luck as she continues to pursue her goal of education.